Racism in our country and community is usually thought of in terms of negative white attitudes toward African-Americans and/or other minorities. While racism works in many ways, the most pervasive dynamic is white versus black. It is the result of numbers and history. In slavery, racism was codified. 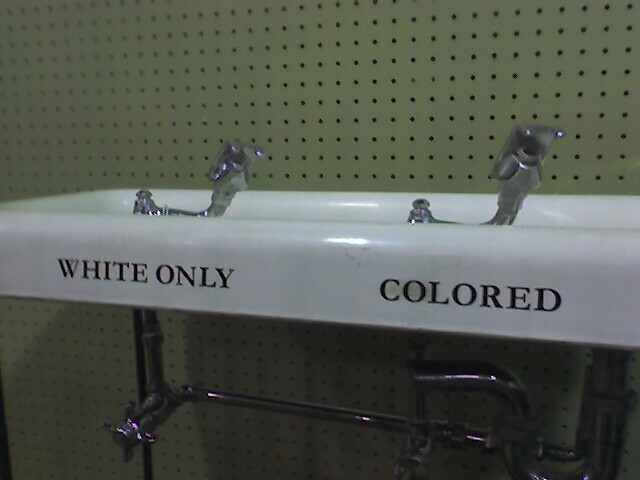 Following emancipation and reconstruction, racism was practiced through state and local Jim Crow laws that perpetuated segregation for generations. As they were eroded, whites had to “get used” to real integration. In St. Louis, sometimes called one of the, if not the, most racially polarized city in America, how do St. Louis whites view racism today? Political scientist Terry Jones of the University of Missouri-St. Louis has studied the issue. Margaret Freivogel, the editor of the St. Louis Beacon online news organization, has edited a comprehensive series of reports on racism in St. Louis. Nikki Weinstein of FOCUS St. Louis represents a civic organization that seeks positive change through developing leadership, influencing policy, and promoting community connections. FOCUS has sponsored a series of studies on racial polarization in St. Louis. Article: "Healing the Racial Divide"
Article: "Race in the Age of Obama"